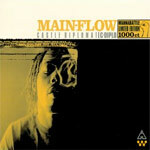 Main Flow from DJ Hi-Tek's Mood comes strong with this full length album. Don't sleep! Features production by: Greyboy, C-Diplo, Reason, Dno and Jahson.